You do not have to be religious or subscribed to any dogma to honor the reason for this sacred time. We reflect not only on a blessed child but on a mother who struggled with her truth but who endured the strangest of days to tackle a role most would have crumbled under the weight of. I think about Joseph and how his courage and humility enabled him to marry a woman who was with child not of his loins. And then there are the souls placed in their path to facilitate such a mystical event, the shepherd, inn keeper and his wife, the 3 wise men, and of course Elizabeth, mother of John the Baptist who gave birth just 6 months earlier at 57 years old.Then there is the child born approximately 2020 years ago. We marvel at his amazing staying power in the lives of millions throughout millennia. No you do not have to be religious to love and admire Jehoshua aka Jesus. As a man he accomplished more in 33 years than many accomplish in 100. His compassion was birthed from his desire to serve, to inspire, to cause the transformation of everyone he touched who was open to receiving the gift of his love, wisdom and energy. If you know him you know what an amazing sense humor he has. If you know him, you know how he empowers others. If you say, “Master” to him, he will correct you as he has done me before by saying, “You cannot call me “master” for I am the groom and ye are the bride”. It is a partnership of personal empowerment and his teachings are just that, the wisdom which empowers. His life was not only about dying that our human frailties and weakness’s would be reconciled for all time but it was also about understanding that life is eternal, that the soul lives on. If you follow his teachings you know that everything you think, say and do is returning to you in one way or another and that the greatest gift you can give anyone including yourself is love. Love trumps all things of the earth, love is of greater value than any material wealth, love is what lives on after you are gone. His love has lived on for thousands of years…will yours? We all have something. It may be claustrophobia, panic attacks, OCD or some other form of unhealed neurosis; it might be someone in your family who has a loose screw or ten; it could be a mean mother, a bigoted relative, an uneducated grandmother or a sister who slaughters animals which are on the endangered list. You may have a troubled child who has all the markers of a sociopath or you may have emotional baggage from your own childhood which has affected your ability to parent. You may be suffering from a nasty divorce or break-up, you might have phobias or superstitions about any number of things or you may just be a secret hoarder. The point is that as human beings we all have something and as we get older whatever your something is, it becomes more magnified if you fail to address it. Some people never will while others on a spiritual journey will break it down ad nauseum. You see everyone has a fried egg and as we grow we come to understand that the imperfections are what make us unique and add texture to our lives and to the world. University Planet Earth is full of folks doing their best to muddle through the classes they have signed on for. Some are over achievers arriving here with a bang, tackling all assignments with passion and gusto. Others arrive at the gates of Mother Earth perplexed at why bad things happen to good people making their lives miserable. From the moment they arrive they forget that they chose it all. Many arrive fully awake spiritually and embrace the changes and the challenges with tenacity and grit while conversely, others arrive just for the ride never adding anything useful to earth or its inhabitants. The ultimate glue that binds all of us is that we are perfect even in our imperfections. We must come to embrace that if we can just love each other no matter how many fried eggs we are wearing, if we can just accept that everyone will have something and perhaps learn how to intermingle our something with their something in order to make a more perfect something, the world would know greater humanity. You will know greater peace the more people you embrace with genuine acceptance and…think of the great karma you are going to create in the process! 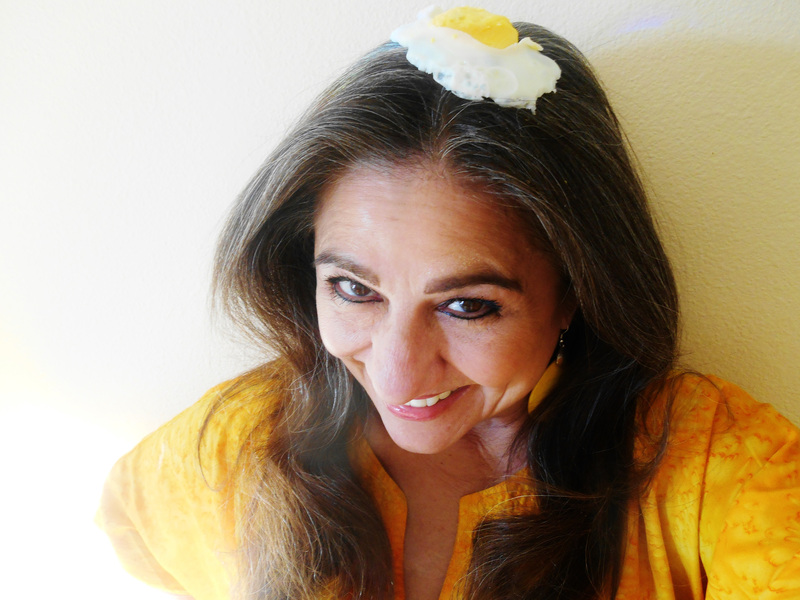 A fried egg is a beautiful thing when you sprinkle a little love on it and serve it with a side of acceptance.